The team will continue posting LORRI images within 24 hours of their receipt on the ground during the first two weeks of January 2019, provided NASA has approved their release. After that, images received at the New Horizons Science Operations Center through each Tuesday at 5 pm ET will be posted on the following Friday. The date/time in the image caption is when the picture was taken by the spacecraft, though receipt of the data on Earth could be many days later. I understand that JHU isn't affected by the government shutdown, so why no further information or images? New Horizons was hidden behind the Sun a few days after the flyby, from January 4th to January 7th. Almost as soon as the encounter and earliest downlinks are over, New Horizons will go into solar conjunction from January 4 to 7. I asked Alice Bowman what implications that has for the mission, and she replied: "During solar conjunction, the downlink data rates are lower because of interference from the Sun. Generally, because New Horizons has fairly short solar conjunctions, we can stand down from science data playback (as the chances of dropping data is increased); we also make sure not to conduct any critical uplinks or sequence transitions, and we set the spacecraft’s command loss timer to allow it more time to receive commands." They'll stay in 3-axis mode until after the flyby, returning to spin mode on January 9 to begin dumping data. in 3-axis mode, the spacecraft attitude is controlled by the thrusters. This mode is used to point the spacecraft instruments at their targets. In spin mode, the antenna is aimed at Earth and the spacecraft is set to spin on its axis to stabilize it. This allows the antenna to remain aimed in the right direction without using the thrusters. At the time of this abstract’s submission, only 4 days of data downlink from the flyby were available; well over an order of magnitude more data will be downlinked by the time of this LPSC meeting in 2019 March. Therefore many additional results not available at the time of this abstract submission will be presented in this review talk. So they've started downloading on January 9th, for 8-12 hours/day at 1 kbit/s. The first website update was scheduled for January 11, but that would have given just one day of downlinked data, the next update is scheduled for January 18. Also, LORRI is just one of the 7 instruments on board, and the only one for which raw data is made public within a week. In addition to the limited downlink time due to it being hidden behind the Sun, it should be noted that the New Horizons team is prioritizing downlinking the metadata of each of the images. This will allow them to prioritize downloading the images that actually have something interesting in them, and deprioritize the images that will be of blank space. Keep in mind that the position uncertainty was still fairly high, and they blanketed lots of images to make sure they got something during the flyby, many of which won't have things of interest in them. That process will take a while, but they are expecting to have the best images on the ground sometime towards the end of February. ... the most recent news on the Johns Hopkins site is dated the fourth of January. That webpage says the 15th, and/or they updated it since you posted your question. 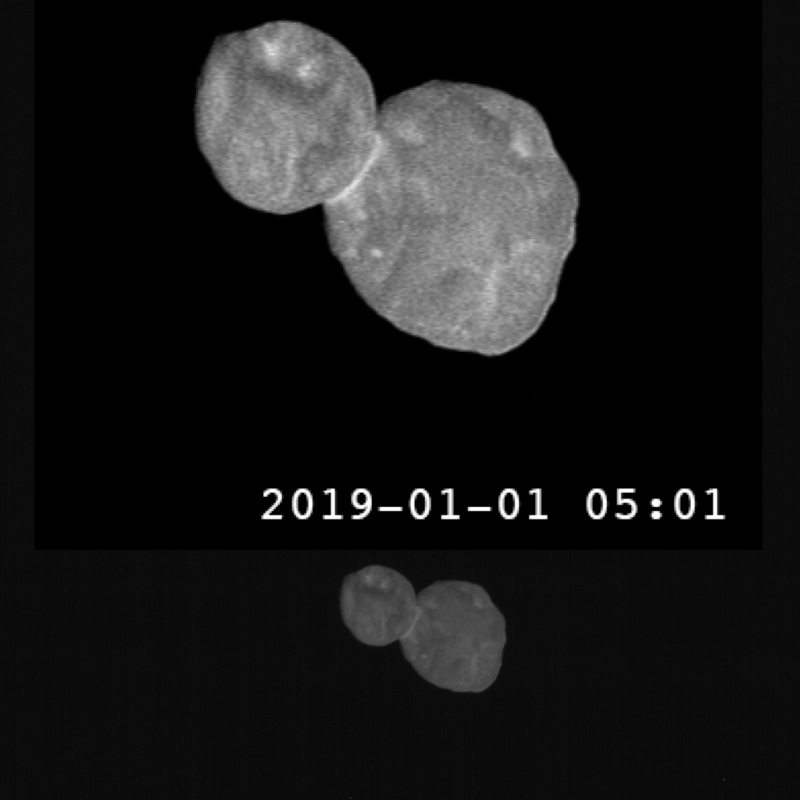 There is this image set courtesy of JHU's page: "Rotation Sequence of Ultima Thule", Release Date: January 15, 2019. Perhaps they updated the website invalidating the date you wrote. Apparently it's taken a couple of weeks to process and release the last set of raws. The above image appears to be an improvement over the same image offered on the Smithsonian website on Jan 2nd, supporting the assertion that it was released on the 15th and is not an older image but one that has been enhanced. The latest Tweet from Alan Stern from 15 hours ago offers this image and says that the next set will be late February. Yeah, at that distance, I'm surprised they get 1 kbit/s. It will definitely take a while to download all the data. It took quite a while to get the pictures from Pluto. Also remember the antenna is not steerable. The entire spacecraft has to rotate to do science, and then stop doing science, and rotate the spacecraft to transmit back to Earth. The spacecraft can't do science, and communicate with Earth at the same time. This was done to avoid having to build a mechanical steering structure for the antenna that might get stuck in the extreme cold. Metal parts tend to contract in the cold, and rotating joints can freeze up. So this method of science/Earth communications by rotation of the spacecraft is used. They deliberately slow the release of data so that government scientists associated with the project get first shot at publishing. They don't like to get scooped and have been scooped in the past. I received this answer from a JPL scientist about a martian probe when I sent him an agitated e-mail about the slow release of the probe's information. 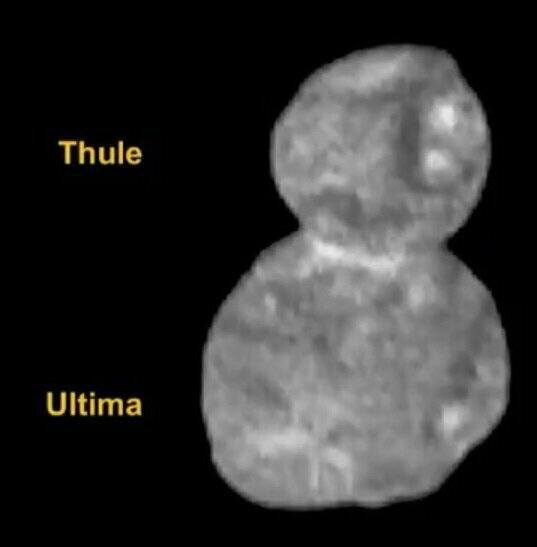 Q: Why no recent information about or photos of Ultima Thule? There is data, but all data is not images. A major challenge for the New Horizons mission is the relatively low "downlink" rate at which data can be transmitted to Earth, especially when compared with rates now common for high-speed net surfers. During the Jupiter flyby in February 2007, New Horizons sent data home at about 38kbps. The average downlink rate after New Horizons passes Pluto (and sends the bulk of its encounter data back to Earth) is approximately 2,000 bits per second, a rate the spacecraft achieves by downlinking with both of its transmitters through NASA's largest antennas. Even then, it will take until late 2016 to bring down all the encounter data stored on the spacecraft's recorders. The mission operations and instrument teams will scour the engineering data for performance trend information, while science data will be copied to the Science Operations Center at the SwRI. At the Science Operations Center, data will pass through Peterson's "pipeline" software that converts the data from instrumental units to scientific units, based on calibration data obtained for each instrument. The raw and calibrated data, along with various ancillary files (such as documents describing the pipeline process or the science instruments) will be archived at the Small Bodies Node of NASA's Planetary Data System. "The pipeline," Peterson explained, "also calibrates the science data into real physical units, which is important for scientific analysis. It's a great part of the project on which to work, since I get to see the images hot off the press." "In addition to the Data Pipeline, a main data downlink responsibility is carefully archiving the data for use by scientists in the far future," added Peterson. "We will be busy processing the data from encounter for about 16 months — it will take that long to come down from the spacecraft." Not the answer you're looking for? Browse other questions tagged communication new-horizons 2014-mu69 or ask your own question. What exactly is the interaction that blocked Juno's data downlink near solar conjunction? Why is it hard to take a high quality image of far away objects (like Pluto) using a high-tech space telescope? Why is part of this New Horizon's Charon high resolution image missing?